The Candy singer made the comment during a themed edition of his Radio Rudebox that was meant to make up for his recent tirade about Britpop stars, reported The Sun. He apparently said: "Alex (James) is the bassist in Blur - my nan could do that. All she needs is a new haircut." 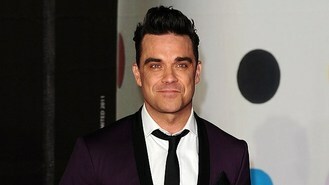 Take That star Robbie said he first met the band when he was just 16. "From what I now know, looking back, they were suffering from a little bit of middle-class angst," he said. "I did feel like I was part of the s*** beneath their shoes for being in a boyband." But the star went on to praise the rest of Blur for their musical talent. Earlier this month Robbie ranted about Britpop stars Suede and 90s guitar bands, while praising pop acts such as One Direction.